The Science behind Breathwork is in its infancy; opportunities in hard science are limited but growing. As some research is done with yogic breathing and alternative modalities such as meditation, or employing various forms of oxygen, we've seen increased interest in our work; Breathwork is inching onto the radar of modern medicine. 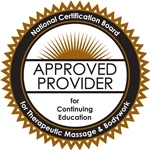 We have had medical doctors, Ph.Ds, and others with advanced degrees get trained and certified by us. Through science, the Transformational Breath Foundation aims to be a leader in reshaping the field of Healing. Transformational Breath® significantly improves oxygen capacity in respiratory patients. Research conducted in a Reggio Emilia, Italy hospital found that twelve respiratory patients (COPD) were given a series of ten Transformational Breath® sessions. The oxygen capacity was increased on average from 65 to 85%. Physical, mental and emotional symptoms decreased dramatically as well. (Tamborelli, Bergamini, Giammarchi, Ruffoni). Full study, in Italian, is Online. Transformational Breath® brings a Significant Increase in Well-being. Facilitator Helmut Pfeil of Austria conducted a study that found 57% of subjects reporting a "significant increase in well-being after a 6-session protocol". The research used a series of standard health questionnaires (SF-36 and FEW-16) to assess feelings at baseline, after 3rd session, and after the full 6 sessions. You can read the full German text Online. Transformational Breath® and Performance Anxiety. Dr. Pippa Wheble (Certified Transformational Breath Trainer) led a study that provides evidence that Transformational Breath helps improve generalized anxiety, social anxiety, music performance anxiety, depression, and well-being and reduce physiological measures of anxiety in professional voice users. Read the abstract of the study (page 150): Online. Cognitive Research & Transformational Breath®. Ayca Ozturk Szapora of the Netherlands completed peer-reviewed research on congnition, relating to types of meditation. It involved Transformational Breath and found that even a half hour session enhanced "divergent thinking"; this is associated with creativity, finding alternative solutions to a problem, original thinking, and generating new ideas. You can read the abstract of the study: Online. Oxygen Benefit on Cancer Prevention. Hypoxia (low oxygen) directly inhibits tumor-suppressor gene activity. The authors state that oxygen is an important co-factor in preventing hypermethylation of "TET enzymes" thus preventing cancer by reversing such gene expression. Breath Training and Panic Disorder. Diaphragmatic breath training is shown to benefit Panic Disorders and to resstore vital capacity. Breath Therapy improves Chronic Low Back Pain (cLBP). Patients suffering from cLBP improved significantly. Changes in standard low back pain measures of pain and disability equaled those of high-quality, extended physical therapy. Breathing for Lung Cancer Patients. A meta-analysis suggests that breathing exercises may significantly improve post-operative pulmonary function and quality-of-life in lung cancer patients. Normocapnic, hyperpneic breathing helps Spinal Cord Injury. Normocapnic hyperpnea training for spinal cord injury patients improved respiratory muscle strength and endurance . Training also saw fewer respiratory complications. TBF Commentary: Hyperpneic breathing refers to breathing at a higher than normal level (i.e. increased depth but not necessarily with an increased rate of breathing.) Normocapnic refers to maintaining normal levels of CO2 in the blood. These attributes are precisely the technical basis of our work. We make no healing claims. The following is a sample of what we have observed in client cases. Read our Full Disclaimer. Mental Illness: Female client, 40's, history of Schizophrenia was able to live without medication by using an intensive Breathwork protocol under the guidance of her psychiatrist. Paralysis : A medically-diagnosed paralyzed diaphragm (i.e. left phrenic hemiplegia) began functioning normally after 60 years at a 3-day Transformational Breath training. The diaphragm is near full-strength after completing Transformational Breath training programs and maintenance through personal practice. Allergy/IBS : Male, 40, with a long-lived allergy to tree nuts which caused anaphylactic shock and hospitalization upon every occurence of ingestion, also presented with persistent Irritable Bowel Syndrome (IBS) which did not respond to herbs or diet. Client ceased to have allergic or respiratory symptoms after an intense seven-week Transformational Breath protocol with almost daily sessions; accidental ingestion several times after therapy caused no reaction. Symptoms of IBS completely disappeared within two weeks. Cancer : Female, late twenties, with no drugs, surgery, or radiation, and after applying a cleaner diet, meditation, and an intense protocol of Transformational Breath over several months revealed a malignant tumor in the throat was no longer visible on imaging equipment and has not recurred since the early 1980s. Non-Epileptic Psychogenic Seizure : Male with history of head injury and sixteen years of trauma-induced seizures has had incidence of seizure completely stopped after twenty full sessions (two per week). We have researched these cases throughly to lend as much credibility and to separate any contributing factors leading to resolution. While anecdotal cases are not a gold-standard of scientific proof they cannot be dismissed either. We have had much success over the years working with conditions such as asthma, digestive issues, stress-relief and panic disorders, mental illness, PTSD, and women with infertility or history of miscarriage. We recommend you Experience it for yourself.